We offer high quality of gaskets/packing/seals for fuel pump, carburetor. We are manufacturer and exporter of Automotive Gaskets, Rubber Gaskets, Industrial gaskets, EPDM Gaskets, Round Gaskets, Rectangular Gaskets in various types, sizes and shapes for diverse applications. We also make more than 9000 different Rubber Products. We are prime suppliers of Automotive Rubber Gasket which are highly acclaimed for its durability, simple configuration and easy installation features. They are available in different dimensions to match up the various requirements of the clients. 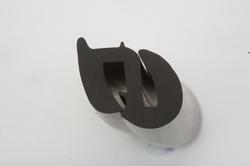 Our gaskets are highly durable and resistant to heat and pressure that assure their premium quality. Our clients can avail from us Automotive Gaskets, which are types of mechanical seals that prevent leakage between the surfaces or objects that they join. 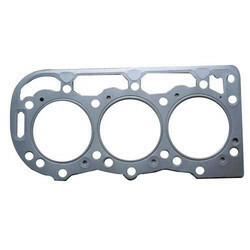 We offer high quality Gaskets that are used widely in the automobile industry. These are manufactured with utmost precision by our skilled professionals, who make sure that the quality is as per the international standards. Compressor Gasket and Gasket Set are available in flexible sizes and dimensions to meet the specific requirements of application areas. The gaskets are made up of asbestos, non-asbestos, PTFE, rubber, copper, aluminium, halide and paper, etc., that confirm with the international quality standards. Thus, the Gasket and Gasket Sets are highly durable and resistant to adverse conditions. We are the manufacturer of Automobile Gaskets. Buyer can send us his requirement along with drawing and specification. - A gasket is a mechanical seal which fills the space between two or more mating surfaces, generally to prevent leakage from or into the joined objects while under compression. We offer a wide range of expanded P.T.F.E Gasket, which is made by using special process that produces a uniform & highly fibrillated micro structure with a fiber running in multi directional strength. The lubricity creep & cold flow directs the possibility of blow out.